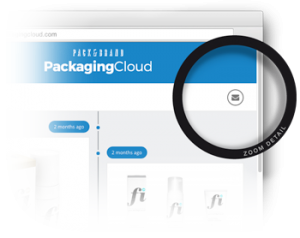 The Packaging Cloud is your project timeline where all design progress and project updates can be viewed. Over the duration of the project the cloud builds to tell the complete story of your branding and packaging development. 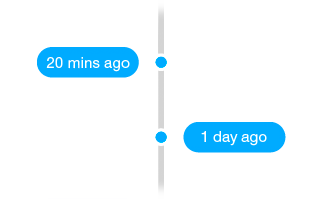 The timeline helps you track and manage every project. It is a vertical timeline that can be accessed through your web browser. All project updates are posted on the timeline in chronological order with a time stamp. Whilst the Packaging Cloud keeps the project presentations in one place, comments and feedback are mostly done through email. To send a message from the cloud, simply click the mail button and your email application will be opened with the correct email address field already completed. You just type a message and send. Packaging Cloud works through most web browsers. This includes many mobile devices and tablets, so you can access the latest project developments wherever you are and whenever you need to.